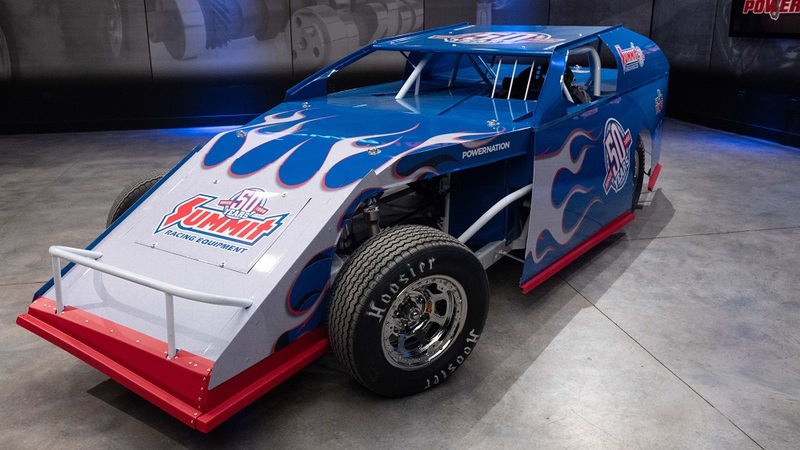 PowerNation TV’s Engine Power is finishing up the UMP DIRTcar Modified race car which will be sold at auction September 29 during the Summit Racing Modified Mania at Tri-City Speedway in Granite City, IL scheduled for September 27-29. Proceeds from the sale will benefit Shriners Children’s Hospital. In the first episode, you’ll see some of the engineering that goes into a UMP Modified as Impressive Race Cars’ Jumper helps Topolinski and Galley assemble the car from the chassis up, including suspension, brakes, rear axle, and wiring. This episode can be viewed on PowerNation TV. In the second episode, Topolinski and Galley build and dyno-test a killer 410 c.i.d. small block Chevy for the race car. It will include good stuff like a Dart SHP Pro block, Brodix top end kit, Quick Fuel Q-Series carburetor, and Schoenfeld headers. This episode is scheduled to air Oct. 14, 2018 during the PowerNation TV Powerblock on the Paramount Network. And in the third episode, Topolinski and Galley wrap up the project with final assembly and track testing. This episode is scheduled to air Oct. 21, 2018 on the Paramount Network. Mark your calendars and check local listings for exact air times. General admission for the Summit Racing Modified Mania is $20 on September 27, and $25 September 28-29. Children 12 and under are free. General admission gates open at 5:30 pm. Pit passes are available. Visit dirtcarump.com and tricityspeedway.net for more information on UMP DIRTcar racing and the 2018 Summit Racing Modified Mania.